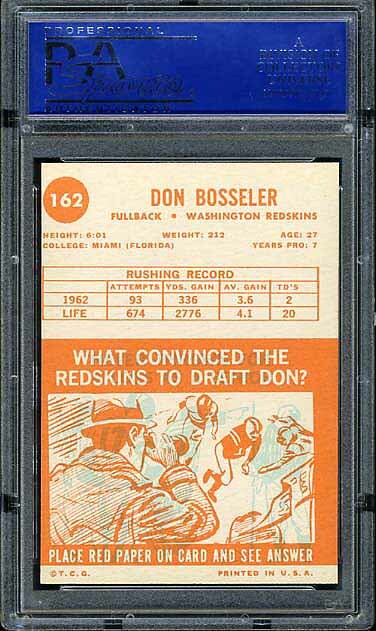 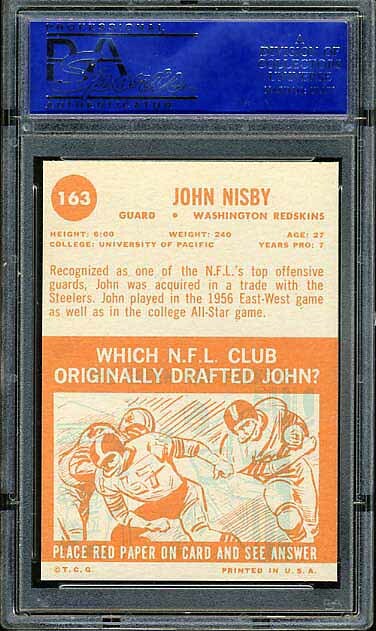 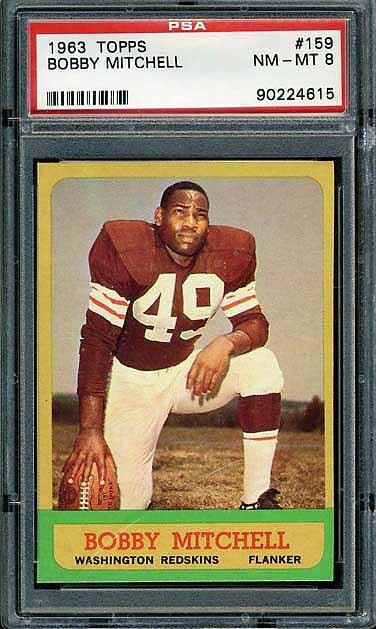 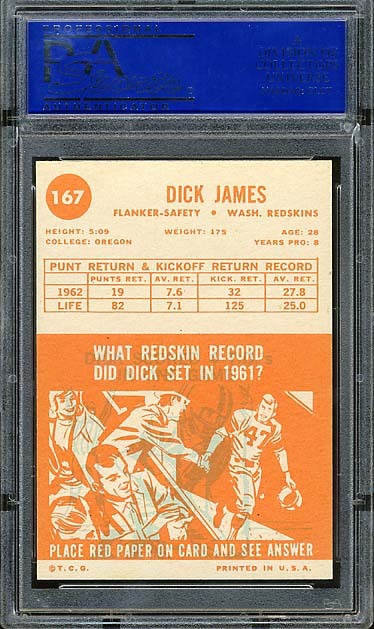 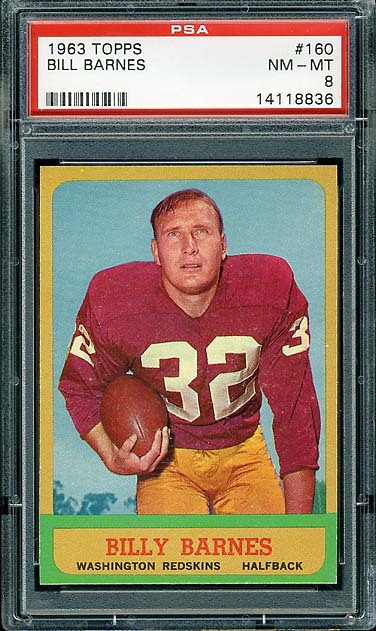 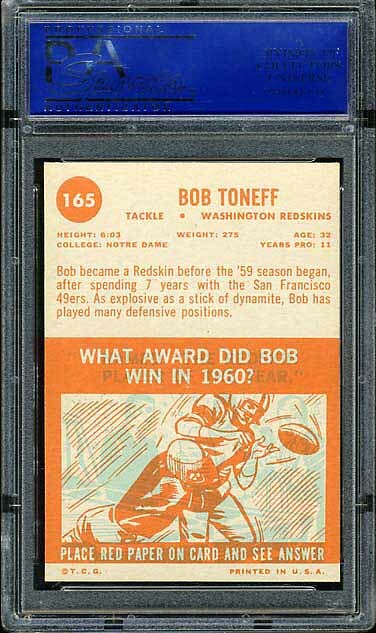 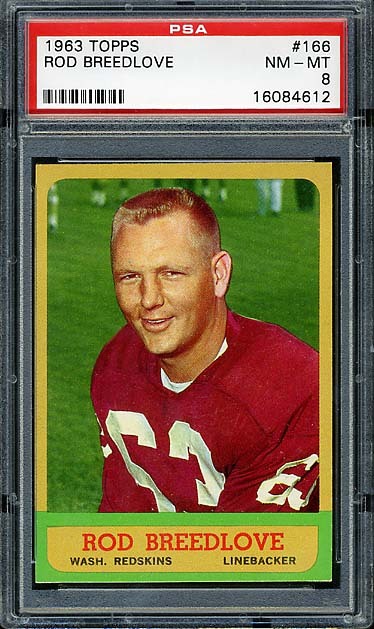 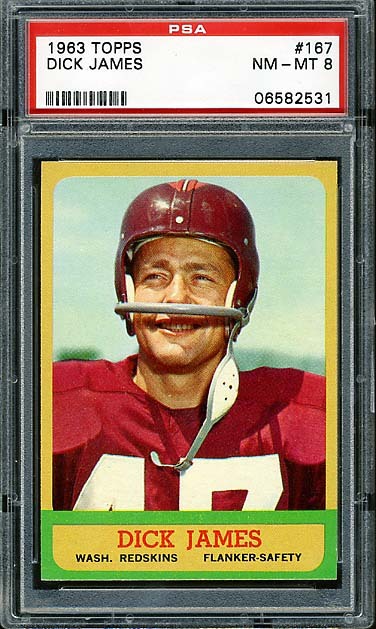 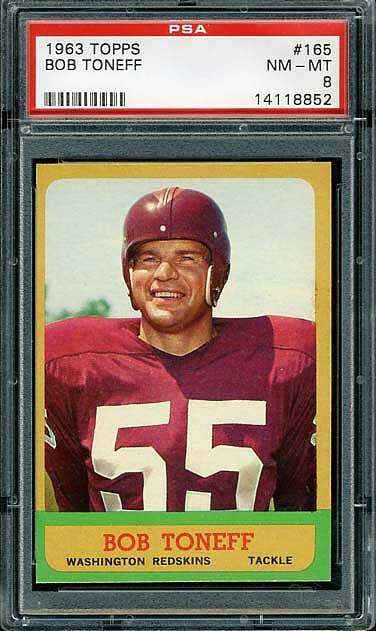 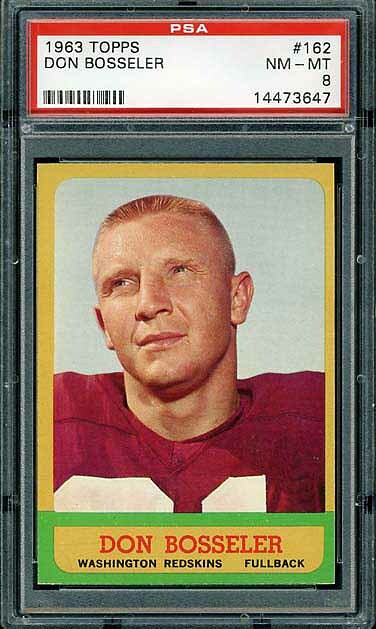 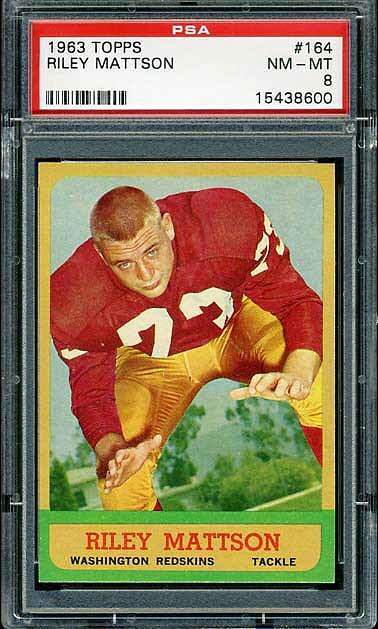 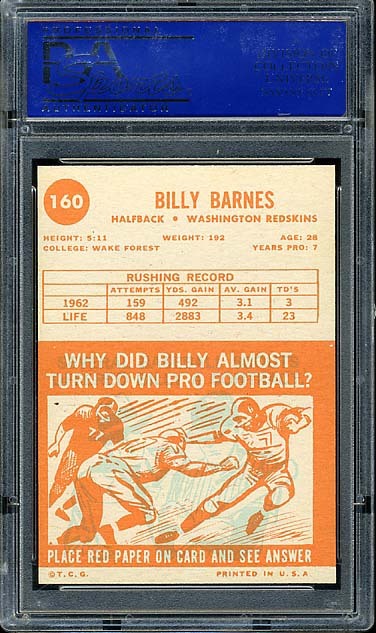 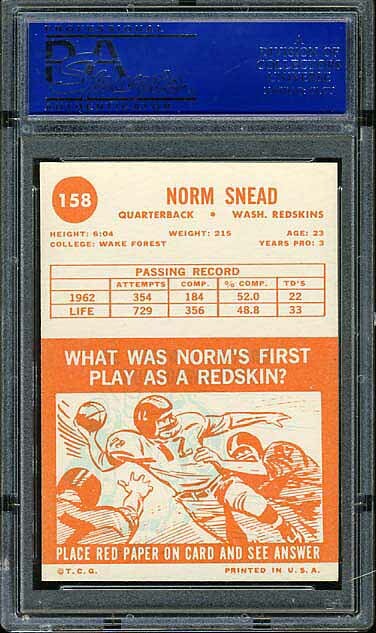 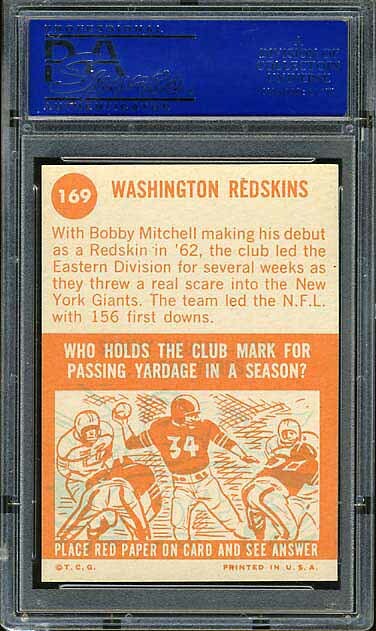 After the black bordered 1962 Topps set, Topps released a gold bordered set in 1963 and EVERY Redskin football card is a short print. 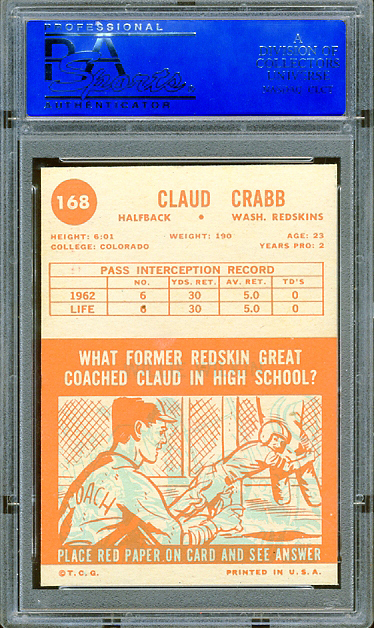 Regardless of team, this is a difficult set to complete and is attracting more and more attention. 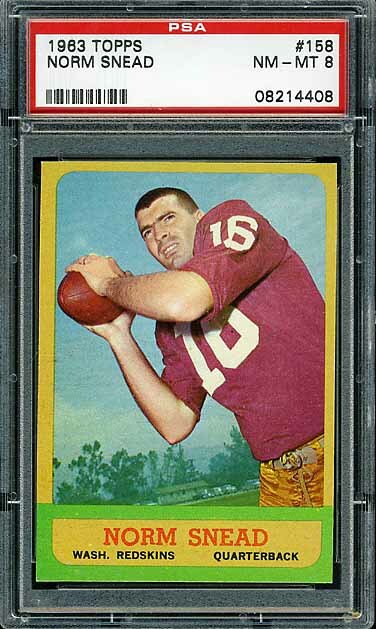 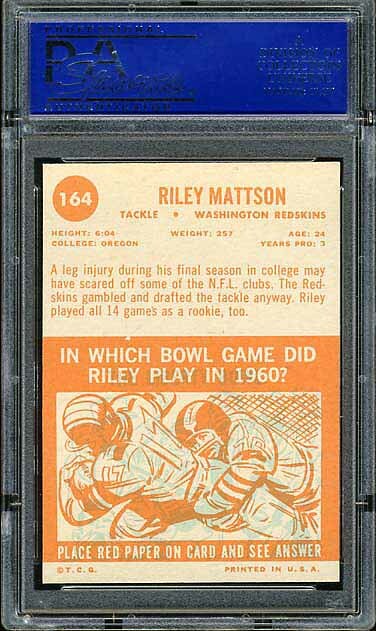 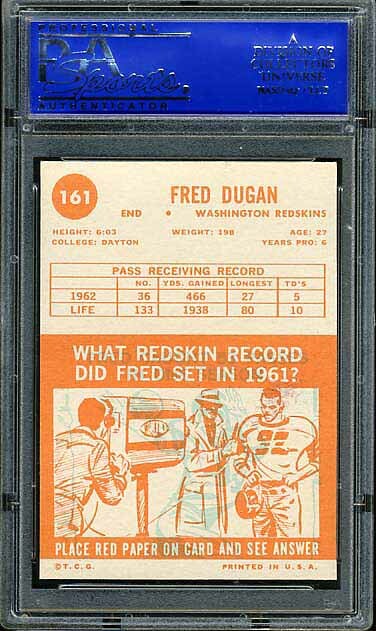 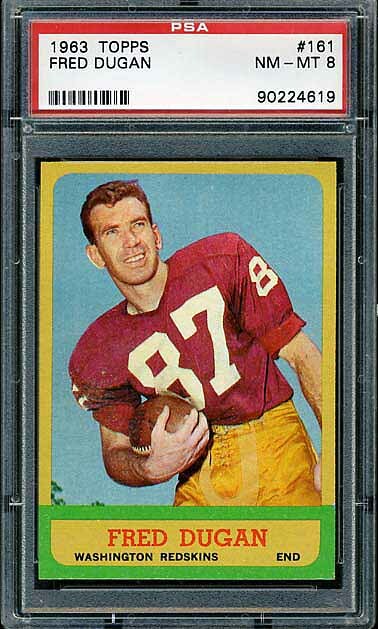 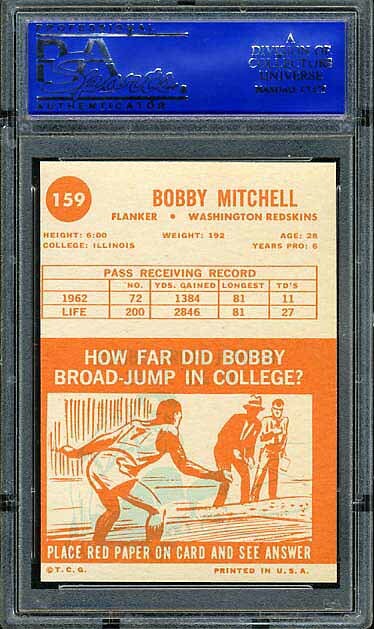 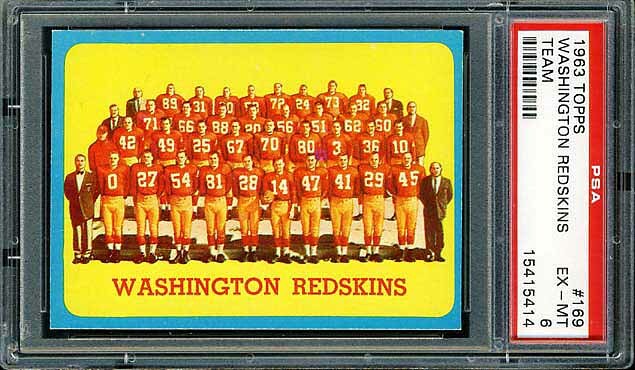 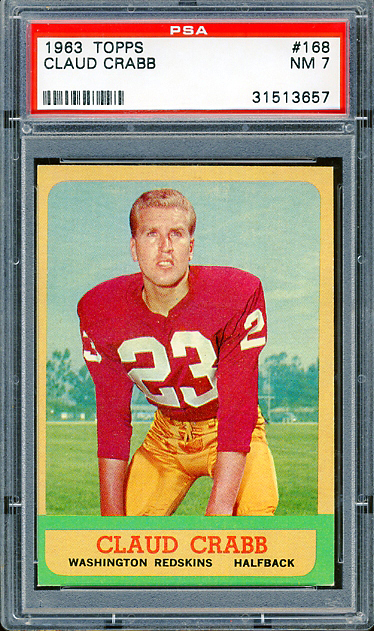 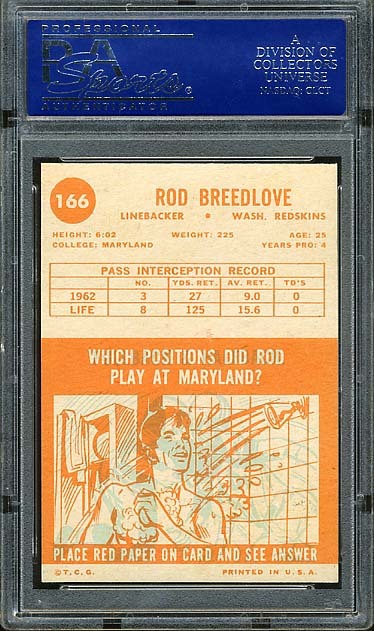 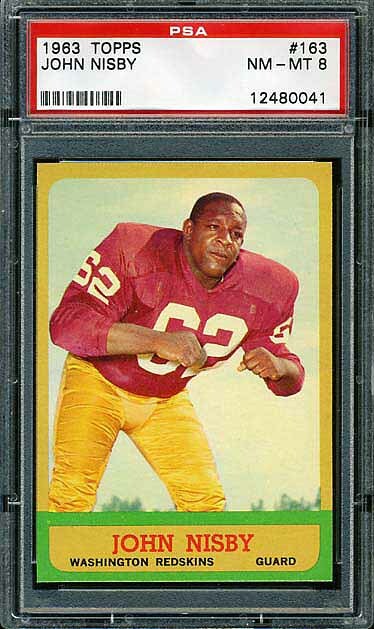 The 1963 Topps Redskins team set appears below.